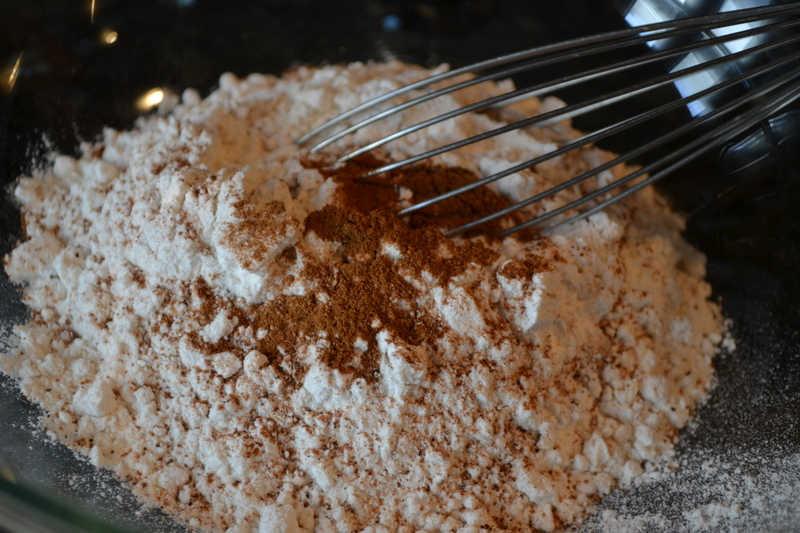 I whisked together the flour, baking soda, cinnamon and nutmeg and set aside. 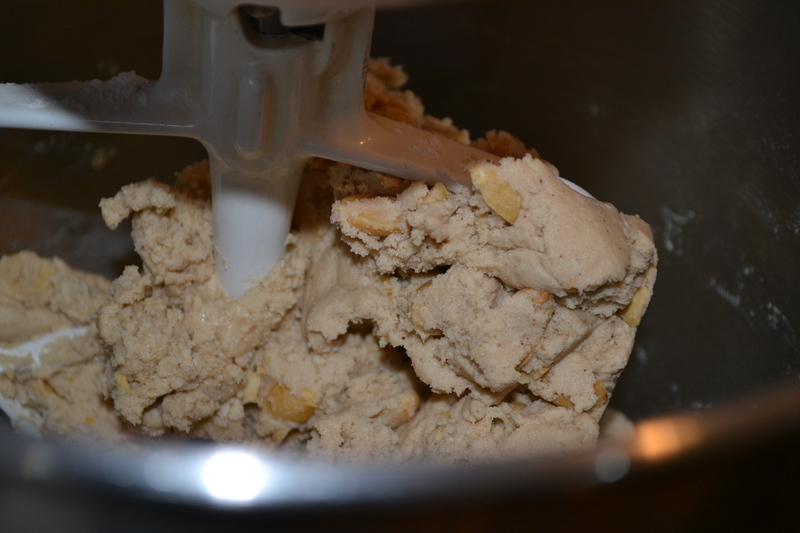 I creamed together the shortening and brown sugar until light and fluffy. I added the vanilla extract and 2 tablespoons of the beaten egg and mixed well. 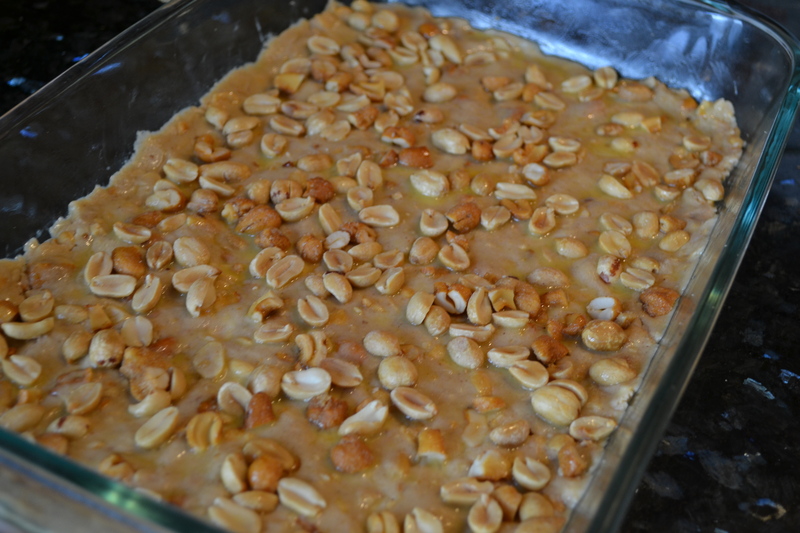 I slowly added the flour mixture, 1/2 cup salted peanuts and 1/4 cup honey roasted cashews and mixed well. I placed the dough in a greased 14×10-inch baking pan and pressed down to fill the pan. 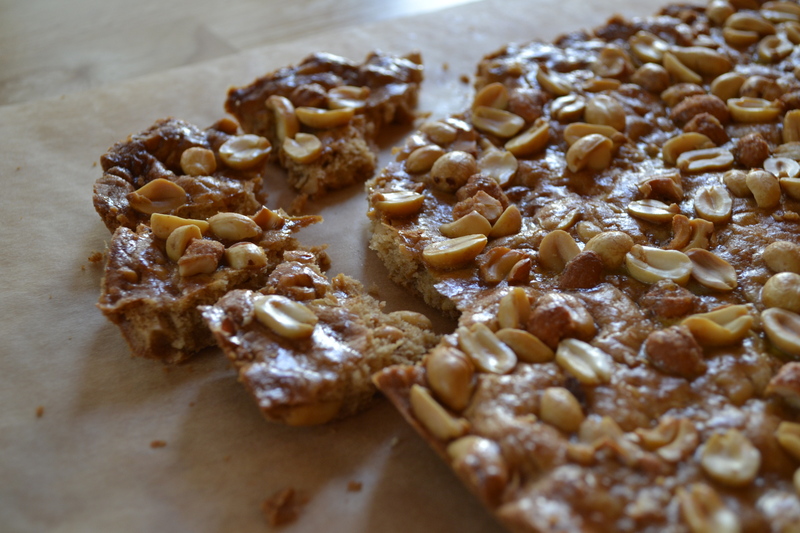 I brushed the dough with the remaining egg, sprinkled evenly with the rest of the peanuts and cashews, and pressed the nuts gently in to the surface. I baked at 375 degrees for 20-25 minutes. My house smelled like I was actually making peanut brittle just like my mom used to make. I let them cool for 15 minutes and while still a bit warm, I broke the cookies in to pieces, just like you would a traditional peanut brittle. You can break the pieces as large or small as you want. You can probably get 20 pieces from this one batch of cookies and the recipe is very easy to double if you want more. 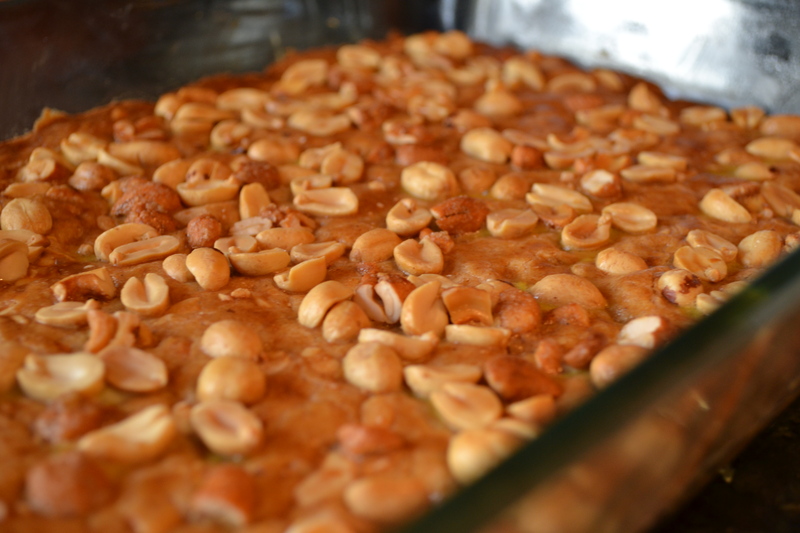 I am declaring here today that I will never make regular peanut brittle again! 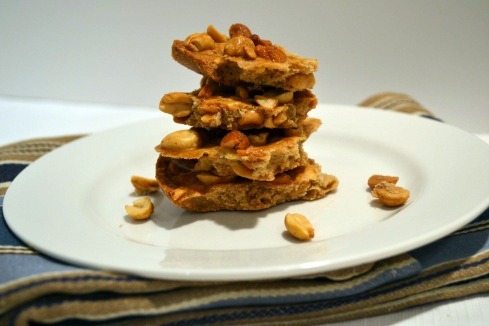 In its place, I can easily make these delicious cookies without burning my knuckles on the hot brittle sauce or cracking my teeth on the super-crunchy snack. 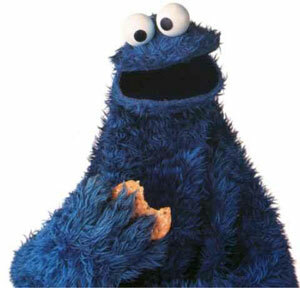 Instead, I plan to enjoy the flavors of a traditional peanut brittle with the wonderful texture of a soft cookie. These are definitely going to be a staple in my house and they freeze beautifully, which is always a plus for me. I miss your mom’s peanut brittle!! Yum! These look so good! I love the smell of those roasted nuts they sell in those carts in the city- so maybe this will satisfy my craving….Do you think you can substitute margarine for the shortening? Yeah, I think margarine would be just fine.